The liver is a multi-talented organ that is responsible for several functions. For instance, it plays critical role in producing proteins, bile, and cholesterol. At the same time, it plays a crucial role in storing minerals, vitamins as well as carbohydrates. On top of this, the liver aids in breaking toxins such as those in medications, alcohol, and those that are natural by-products of metabolism. Considering the elaborate work portfolio of the organ, it is essential to maintain its health. Purple and red grapes have a particularly strong reputation for boosting liver health. These grapes boast a high content of plant compounds. Of these, resveratrol shows several health merits. Studies agree that this compound can help prevent liver damage, curtail inflammation, as well as ante up antioxidant levels. 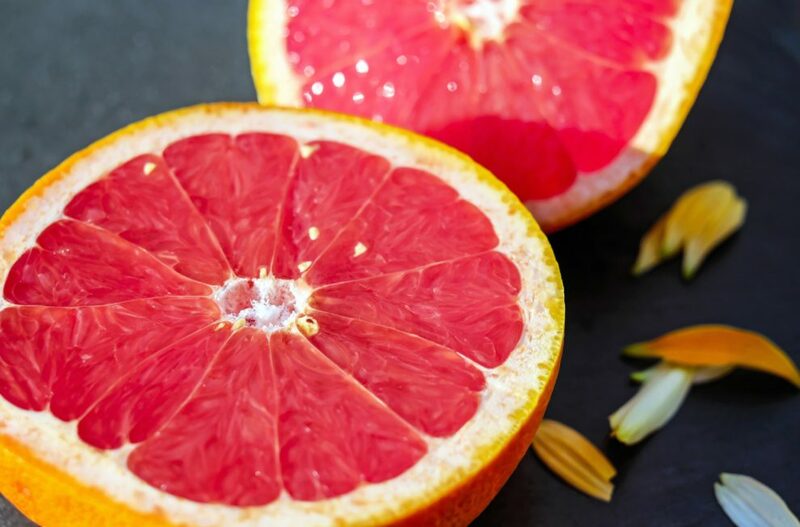 Grapefruit is packed with antioxidants which protect its health. The two main antioxidants that help in this regard are naringin and naringenin. Animal studies also indicate that these antioxidants can help protect from liver injury. Grapefruit mainly works be combatting inflammation and safeguarding cells. Coffee is great for the liver’s health. Research highlights that drinking coffee delivers protective effects for the liver even for those who suffer from liver health issues. For instance, evidence suggests the drinking coffee reduces the risk of permanent liver damage in the case of individuals with chronic liver disease. Coffee works by reducing inflammation, preventing the buildup of collagen and fat, and increasing the levels of glutathione, a powerful antioxidant. Beetroots are an excellent source of antioxidants, betalains, and nitrates. These assist in promoting improved heart health and lessening inflammation and oxidative damage. You may go for eating beets or drinking its juice. However, most research has been conducted on beetroot juice so it is best to either buy beetroot juice or juice beets at home. Nuts have a great nutrient profile including vitamin E and other beneficial plant compounds. These deliver several health advantages including those for your liver. An observational study that lasted for six months learned that eating nuts help improve the level of liver enzymes among people with non-alcoholic fatty liver disease. Olive oil is a healthy choice for both your heart and brain. Top these two benefits with improved liver health and you have a food ingredient that you should add to your diet. Olive oil works to lessen fat buildup in your liver. Plus, it improves the blood flow to the liver while boosts insulin sensitivity and enhances blood levels among liver enzymes. Fatty fish shows a rich content of omega-3 fatty acid that are healthy fats, which work to combat inflammation. These fats help maintain the enzymes levels in the liver, boost insulin sensitivity, curtail inflammation, and keep fat accumulation at bay. Lastly, avocados are also great for your liver. They are rich in fiber and fat content that help control weight. Moreover, avocados contain glutathione, a powerful antioxidant that is beneficial for the liver and helps in getting rid of harmful liver toxins.